An accurate replica of the throwers that Lee Christmas uses in The Expendables movie. 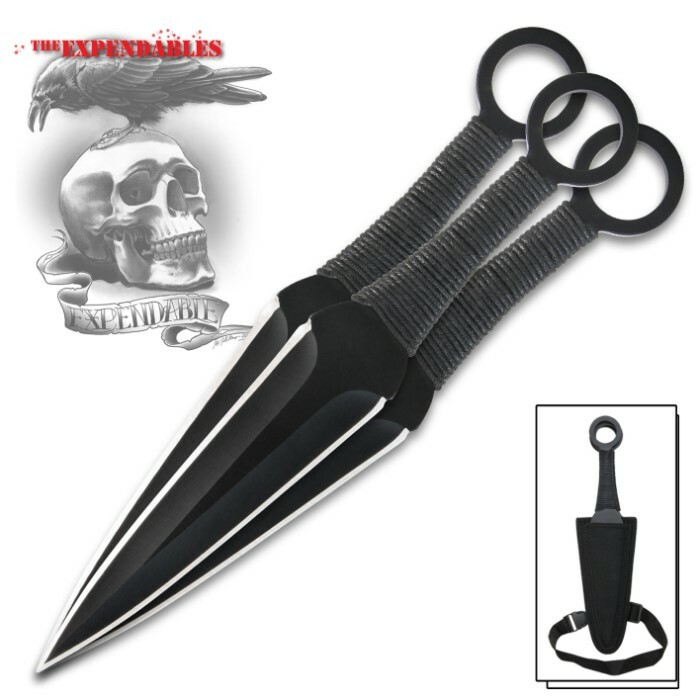 This throwing knife set features three perfectly balanced kunai constructed of single pieces of anodized AUS-6 stainless steel. Each double edged thrower measures 12 inch long comes with a black cord-wrapped handle with a finger hole. 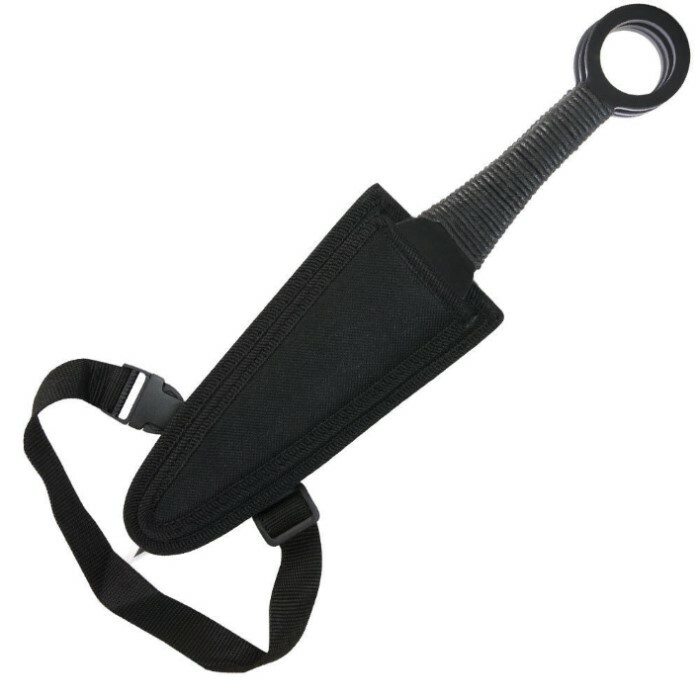 Includes custom nylon sheath with boot loop and leg strap for multiple carrying options. Did not disappoint, great quality, good size, nice weight, throw great. This is the fifth set I've purchased, and haven't been disappointed yet. Just some really great craftsmanship. Probably get more in the near future. 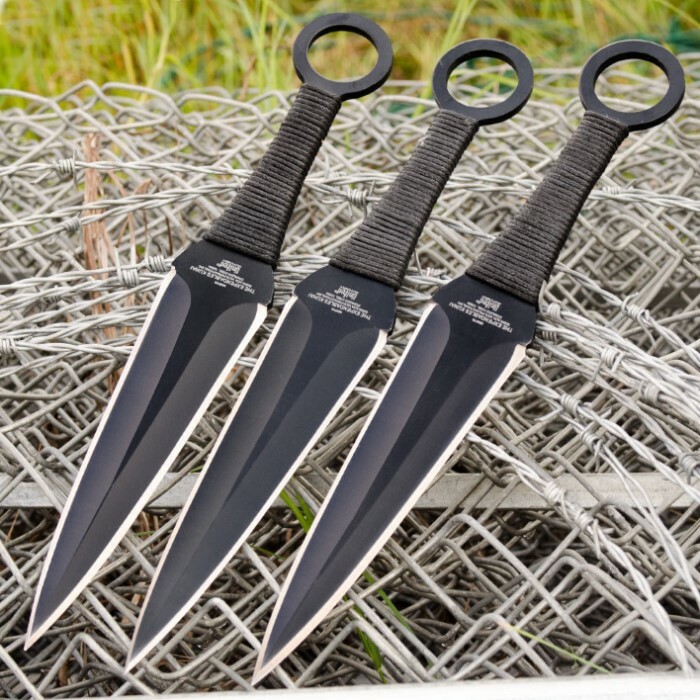 These are some of the best throwing knives I've seen. They are well balanced, sharp, and are a great size. The sheath isn't the best quality and the leg strap feels like it will break if you use it but overall it's a good deal for the price. the best knifes you can get get them now.